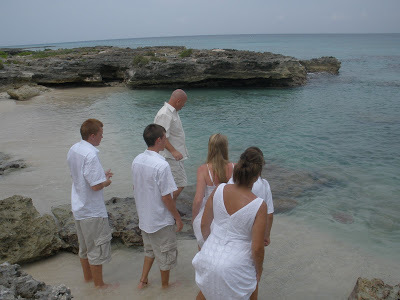 School's out, and I see it reflected in how many weddings with kids included I've been doing recently. 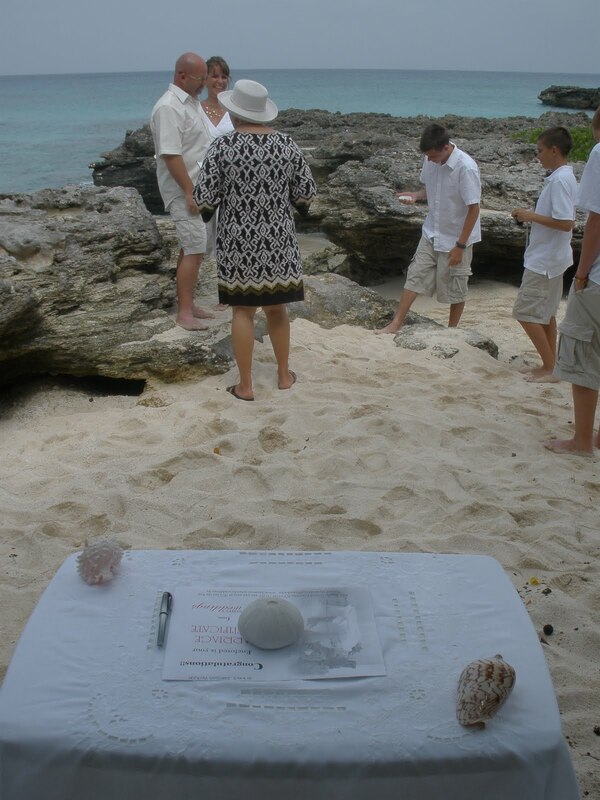 This family from Tulsa, Oklahoma were visiting Grand Cayman on a cruise-ship today with their four children and I took them to My Secret Cove for a simple, intimate and romantic ceremony. 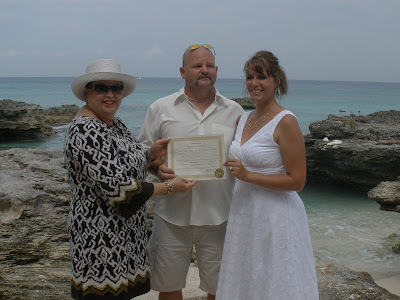 I did the ceremony shortly after 9:30 am which gave the family lots of time to explore our capital city, and maybe even take a quick run down to "Hell" to get their post-cards stamped, "Hell. Grand Cayman". Since you are not usually due back on the ship until 3pm, you have lots of time for a shore-based activity, either on your own or as part of a pre-booked tour. 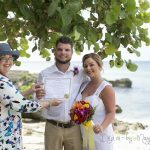 "You may give your wife a big hug and a kiss"
While none of the kids were old enough to be an official "witness", if you let us know, we can provide the two witnesses over 18 years of age which is required by law. 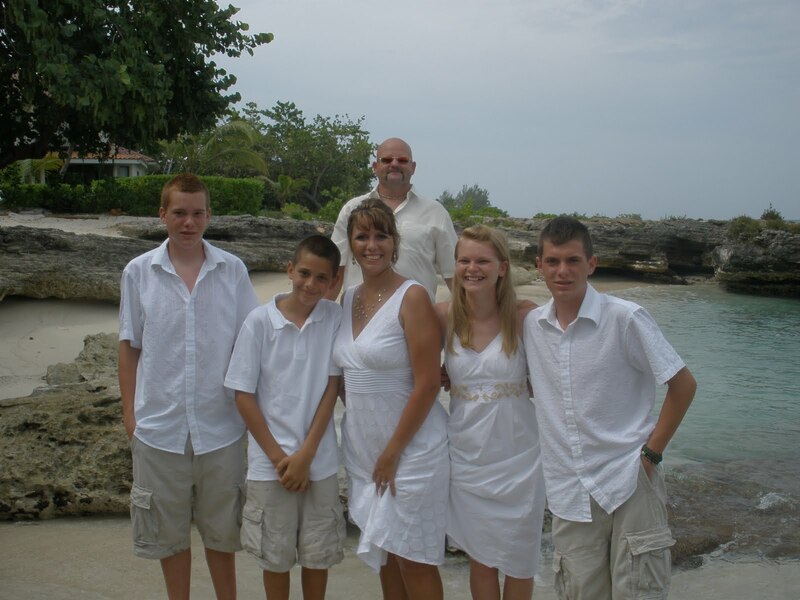 Don't you just love how they were all colour coordinated? 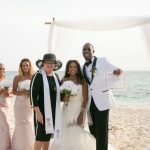 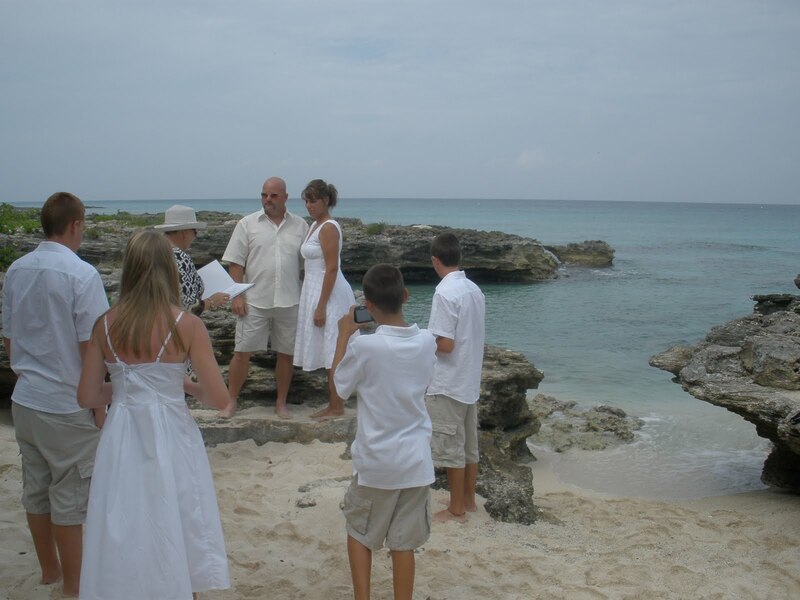 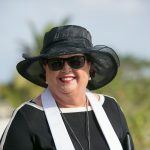 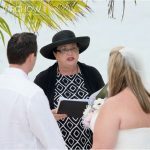 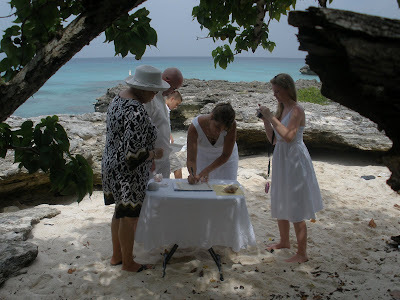 Simply Weddings - Grand Cayman Wedding Celebrants and Planners are kid- friendly. We look for ways to involve children in the ceremony if this is something the child and parents are comfortable with. We are the most experienced, and leading providers of cruise wedding services in Grand Cayman.